For many people, chemistry is a subject which is very interesting because it explains the process of our survival in matter of elements. And the real joy of the subject comes when we apply it, understand, and relate in real life. Chemistry acts as base for lots of innovation in scientific, medicinal, material oriented field. Be it any product, you can find how important is chemical reaction in your day to day of life. In simple day to day, every human being is surrounded by or uses chemicals have for every single thing. 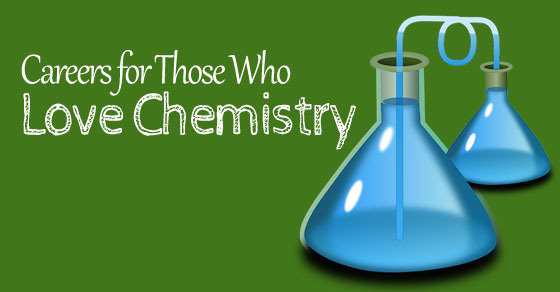 Because of this huge role of chemistry, there are many scholars who have taken chemistry as their profession. But, what can you do with a chemistry degree? Research and development has wide range of opportunities for people who love chemistry. There are multiple jobs in various categories under research and development. Few of them are listed below. Many of us would have heard the word chemist often in our day to day lives. It is an entry level job who have completed graduation in chemistry. Even though this job does not create an excitement in the beginning, it is one of the good jobs to learn and execute the fundamentals of chemistry. Job role would be mostly to analyze, figure it, test, and conclude the processes of some practical test with a team of people. They also work on improving the formulas, processes and various methods to try the test on various products. Mentioned here are few chemist job roles and best careers in chemistry. Food chemists work under the research and development of new foods in the market as well as they research on chemicals which increases the life cycle of the food. They also do jobs like inspecting a food product with regard to the various scales like quality control, control of artificial agents in food with respect to the FDA (Food and drug administration). Cosmetic chemist is someone who formulates a cosmetic product as well as they see to it whether it meets chemical regulations. Right from shaving cream to lip balm all the products are directly developed under a cosmetic chemist. Throughout the raw material selection to chemical used it will be under the supervision of a cosmetic chemist. It would be an interesting option to people who love to be in cosmetic industry. Synthetic chemist is someone who works on pairing two types of chemical compounds to produce an advance chemical compound which is very efficient and useful for the market. It is an interesting job to people who love to experiment on chemical compounds. Marine chemists are professionals who research and study on chemicals which react in water, and they also undertake repair and construction of marine vessels without producing pollutants in the water. Astronaut chemist is a professional who does research on chemicals, and molecular compounds in the universe and they also do research on chemicals which affects solar plant and more related to astronomy. Agriculture chemist is someone who is responsible for the development of molecular compounds which are responsible for a crop production as well as pest control. They also breed plants to increase the production of crops and also study the biochemical reactions taking place in the plants. Every field has set of regulations and quality control laws. When considering chemical industry field, there are strict laws and regulations as it has many adverse effects when not handled properly. Patent attorney is a job role where patent attorneys guide people whether the patent is legal, and help scientists or researchers to know whether the innovation is valid for patent rights. A person has to hold a degree in chemistry as well as law to become a patent attorney. Their job role also includes investigation and legal advise on duplication of the product and also product infringement. Mostly patent attorneys get hired in chemical industries for legal knowledge help as well as the patent research guidance. Toxicologists are people who hold a degree on toxicology or any majors in chemistry or biochemistry. The job role is to study the various effects of chemicals, drugs on living things. Toxicologists also analyze the safety measures and warnings about any new drugs in the market. Study of various drugs and also their role, in which they determine the dosage of drugs to adults, toddlers and other organisms. They are been hired in various fields like pharmaceutical industry, environmental science, biotechnology etc. Chemical health and safety department are the people who takes care of the health and safety measures of any organization. In order to join this department a person has to hold minimum an undergraduate degree in chemistry and work experience in chemical labs. Hazardous waste management is a unique industry where chemists are hired to manage, control the pollutants in air, water, and soil. A person should hold a degree in chemistry to join this profession. Their job role would also include cleaning and maintaining the hazardous waste, prevent environment from the harmful pollutants. Hazardous waste management( hazmat ) chemists belong to environmental science division who takes care of the harmful toxins prevailing in air, water and soil. These professionals are mostly wanted now, because of the harmful effects happening in the world due the pollution. It is a new emerging job category for chemistry degree graduates. Regulatory affairs is one of the major divisions in the chemical industry where these professionals take care of the laws related to drugs released in the market as well the new equipments in the medical industry. Their job role also includes monitoring a product right from the development cycle to marketing. They also analyze and test the product cross verifying it with respect to laws imposed in the country. Some high professionals in this field also prepare regulatory rules with respect to the government. Coming to the educational qualification, in order to enter this field a person need to hold a degree in chemistry as well as few years of experience scientific research labs. A graduate in chemistry can also be in sales department of any pharmaceutical company. They are the persons who market the product, and also explain about the various processes undergone in the product in chemical terms. For instance, in order to market a product, he would be explaining its chemical components involved, side effects, toxicity etc. They will on move outside the industry to market the product. It is a very interesting job if a chemistry graduate who doesn’t want to be in the lab alone. Manufacturing industry is major in the field of chemistry as every product involves a cycle of development which in turn produces a material as an outcome. All the product has some chemical reactions on their development process. Material scientist is one interesting job role for people who hold majors in chemistry. Their job role would include improving an existing product or working to develop a new product. They are the people who also research on failed inventions of the scientists. Some material scientists also work on analyzing the raw material used for the product and also work on addition of chemical raw materials to the product. Material scientists get hired in various industries like cosmetic, food, etc. Biochemistry is a nice option if a person likes chemistry as well as biology. They work on genetic tests, developing a new drug, testing drugs, etc. There are few biochemistry jobs where they work on crop production industries to produce more disease resistant crops, and also increase the plant production. These people are also hired in agriculture industries, pharmaceutical industries, and genetic labs. Formulation chemical industry is a place where a team of chemists work together to determine the ingredients which has to be used to produce a complete product. For example, a multivitamin tablet does not only have the multivitamins in it but also binders, coloring agent, flavors and many small substances to finish into a tablet. This typical example will tell you what a formulation expert does. The key responsibility of the formulation expert would be to study various formulations, analyze the stability of the product, and manage the clinical trial and errors till the final output of the product. Qualification expectancy of this job role would be a majors in chemistry with some formulation industry certifications. These professionals are majority hired in pharmaceutical industries where they work with chemical engineers. Even though the product has been made ready and tested. The product might be of very less in quantity produced by the formulation chemist, and so they increase the size exactly according to the industrial need. It is the work of the process chemist to formulate it according to the commercial need without reducing the effects of the drugs. They are the professionals who mold the product according to the commercial need, keeping the size, cost and safety in mind. These chemists produce a synthetic plan according the large scale need. Qualification expectancy for becoming a process chemist would be a chemical engineer degree holder or more of high level subject matter experts in the field of chemistry. The sense of satisfaction of seeing a complete product can be experienced a lot in the process chemist profession. Technical support is job role where a person has to know a product in depth and also to how to handle various effects caused by it. This job role is also called as application scientist as it involves both theoretical and practical knowledge of the product. Basic qualification expectation would be a degree in chemistry or biochemistry. Chemical information management specialist is someone who has a good knowledge in doing research about the product, collecting information about the product from journals, Internet and directing it to the researchers. This role requires a degree in chemistry and computer knowledge. For the people who love to teach chemistry, it is great news that there are lot many opportunities in high school as well as in universities. All you need is good knowledge of the subject and more teaching skill. A basic graduate degree with chemistry as a major is must and for universities they expect up to Ph. D. In universities they also expose the professionals to research and study of new innovations. Hence, there is always better opportunities, when you want to land in education field. There is wide scope for chemistry as a career because all the things in the world happens due to chemical reactions. If you are ready to explore the world of chemistry never stop yourself from doing it as it is very interesting and it makes the life of human into existence.